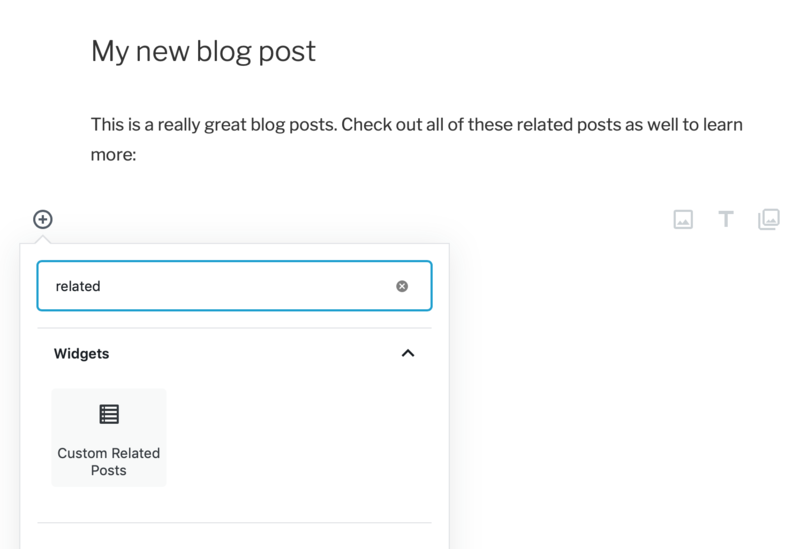 The easiest way to display any related posts you have set is by using a widget. You can add the Custom Related Posts widget on the Appearance > Widgets page. 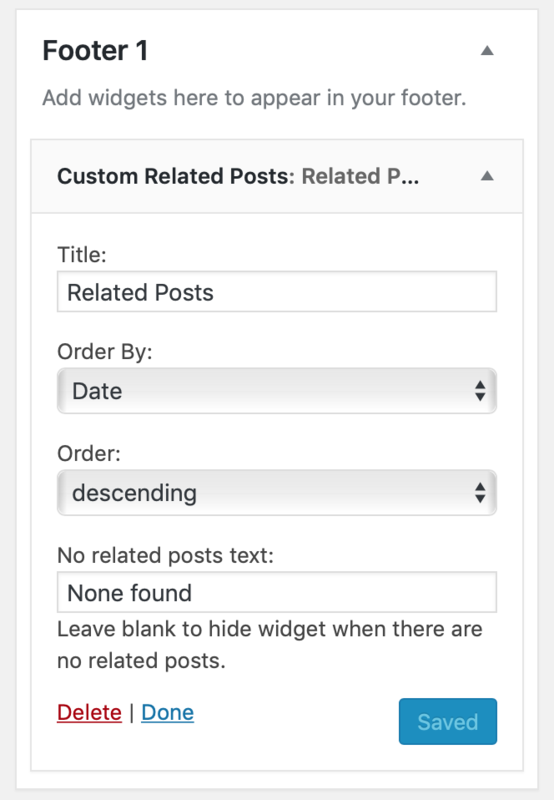 Use the options to change the text that gets displayed and the order of related posts. When selecting the block you'll find the display options in the sidebar. The block will show a live preview of the related posts.